Elise Jones was elected to the Board of County Commissioners in 2012 and again in 2016. Her current term continues through early January 2021. For 2019, Elise is the Chair of the Board. Elise also represents Boulder County on the Denver Regional Council of Governments (DRCOG), which she chaired in 2016, and serves as the DRCOG representative to the Statewide Transportation Advisory Committee (2019). She is also a member of the Metro Area County Commissioners, which she chaired in 2016. Elise has lived in Boulder County for more than 20 years where she has been an important environmental advocate and active community member around many issues key to Boulder County. 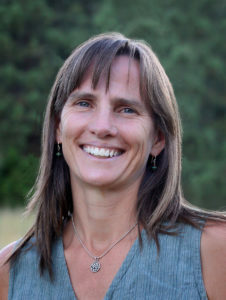 Prior to serving as County Commissioner, Elise served as executive director for the Colorado Environmental Coalition for 13 years where she worked to protect wilderness and open space, promoted clean energy, and advocated for sustainable land use and multi-modal transportation alternatives, among many other accomplishments. In addition to a bachelor’s degree in Natural Resources from Cornell University in New York and a master’s in Resource Policy, Planning and Administration from the University of Michigan, Elise has decades of experience with public policy-making. She has worked as a regional director for the League of Conservation Voters, a senior legislative assistant for an Oregon congresswoman, and a project coordinator for the National Wildlife Federation. She has dedicated her non-profit and volunteer time to the Boulder Planning Board, Greenprint Denver Advisory Council, Colorado Conservation Voters, and Humane Society of Boulder Valley. She also has a passion for social justice, helping those in need, and addressing the climate change crisis. Elise lives in Boulder with her partner, Karl, and their daughter, McKenzie. As a resident of Boulder, Commissioner Jones represents residential District 1.